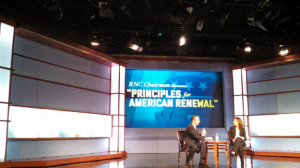 The Graduate School of Political Management hosted Republican National Committee Chairman Reince Priebus in GW’s Jack Morton Auditorium on Thursday to discuss “Principles for American Renewal” in anticipation of the upcoming 2014 midterm elections. 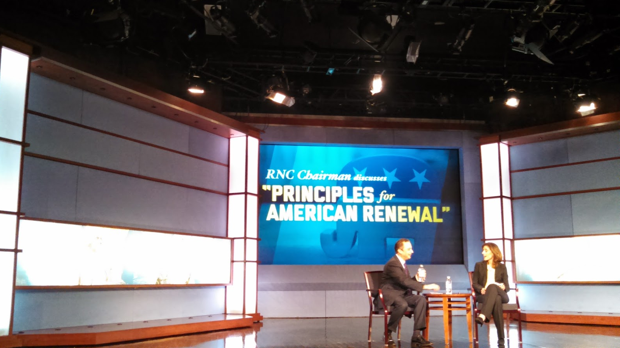 The event, which was broadcast live on C-SPAN3, featured Priebus outlining eleven principles that he sees as uniting the Republican party. The eleven principles included ideas such as preserving and honoring our Constitution, ensuring equal access to education for all and an immigration system that prioritizes border security. Economic policy was also heavily discussed. Priebus argued that Republicans had plenty of legitimate ideas to strengthen the economy. “Regulations come between you and a job,” Priebus said. Other issues Priebus examined included perceived failures of the Obama administration with the Affordable Care Act and the Department of Veterans Affairs, as well as energy policy and the Keystone Pipeline, which Priebus argued must be approved. He also criticized the Obama administration’s willingness to work with Republicans to get things done. “I think this president’s taken this sort of non-engagement to a level we haven’t seen in American history,” Priebus said, insisting that this was not just partisan bickering. Priebus didn’t forget to remind the audience that things could change depending on the midterm election results. “We can take a step in the right direction this November. If the American people hire us, we’ll be ready on day one,” he said. This entry was posted in Campus, Graduate Programs, Student Affairs, Student Political Organizations and tagged GWU, Priebus, RNC, WRGW, wrgwnews. Bookmark the permalink.